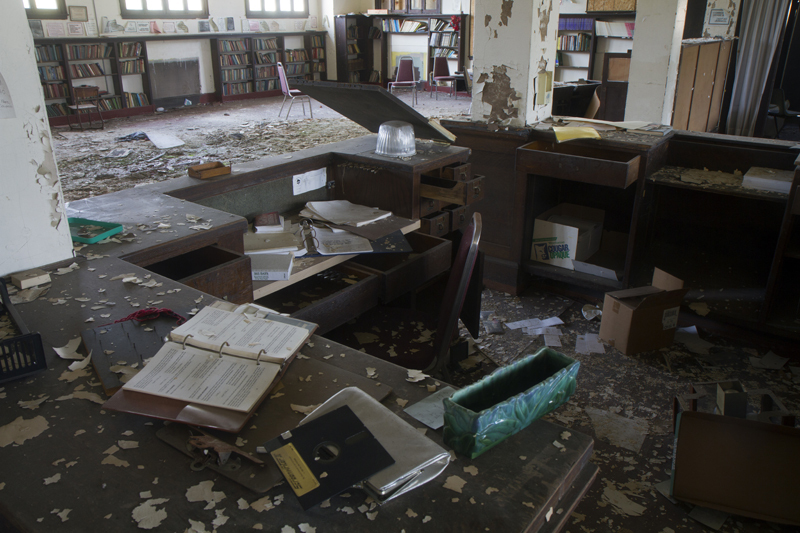 The library at Detroit Urban Lutheran was neatly organized. In one section, hundreds of children’s books in pristine condition were shelved alphabetically by author’s name. 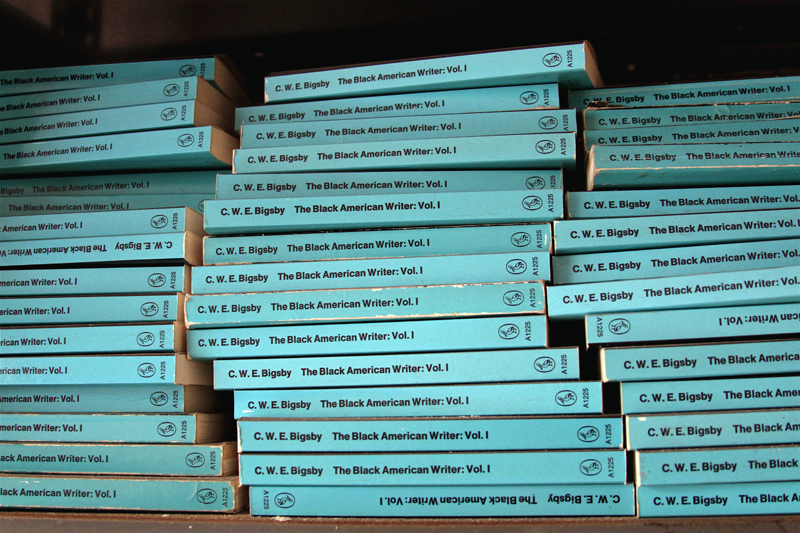 Another section was dedicated to hard-cover novels and classics like “Little Women,” “Grapes of Wrath” and “Great Expectations.” History books, atlases and encyclopedias were stacked waist-high in a corner. 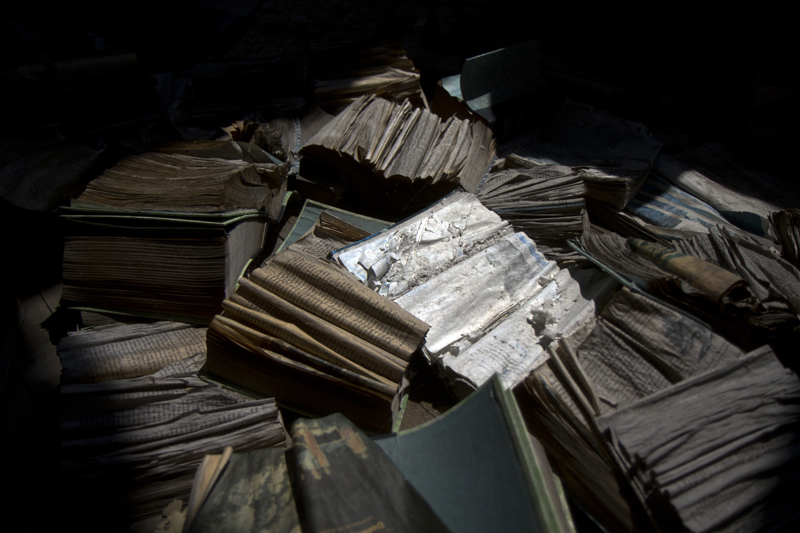 When the private school on the west side closed a few years ago, no one bothered to salvage the books, many of which are now burned and damaged. 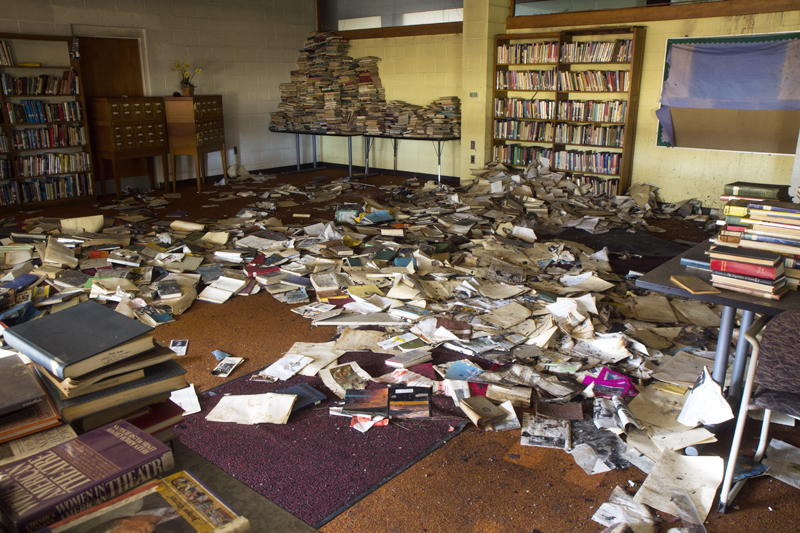 Leaving behind entire libraries of books is nothing new in Detroit, which has one of the highest illiteracy rates in the U.S.
Vacate a building. Leave everything behind. That’s the Detroit way. 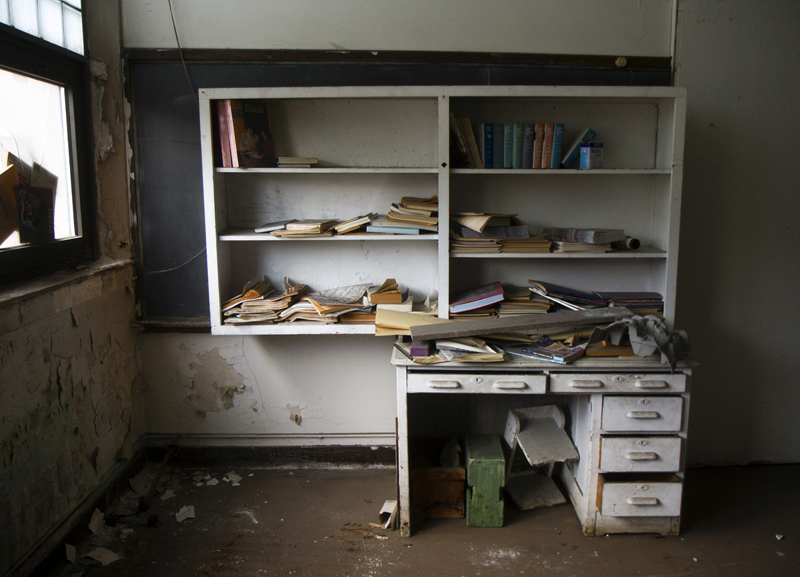 Abandoned schools, hospitals and nursing homes also contain thousands of records with social security numbers and other sensitive information, we reported in June. 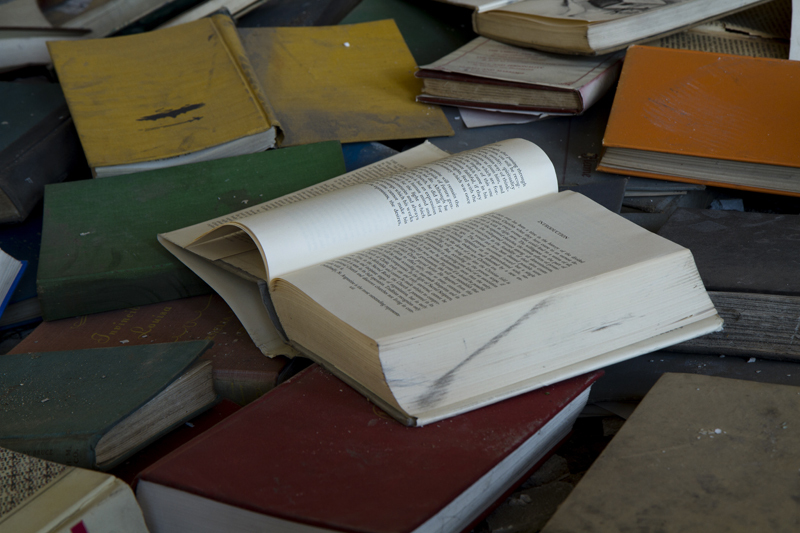 The most notorious abuse of books in Detroit involved the Roosevelt Warehouse, aka the Detroit Public Schools Book Depository, in the shadow of Michigan Central Station. A 1987 fire destroyed millions of dollars worth of school supplies, and the district left the building open to the elements. 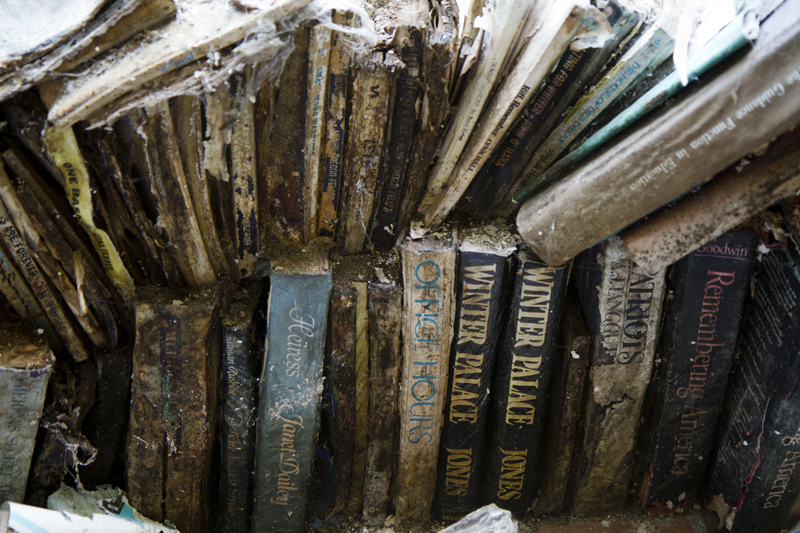 Below are photos of books left behind in vacant buildings, some of which have been demolished. 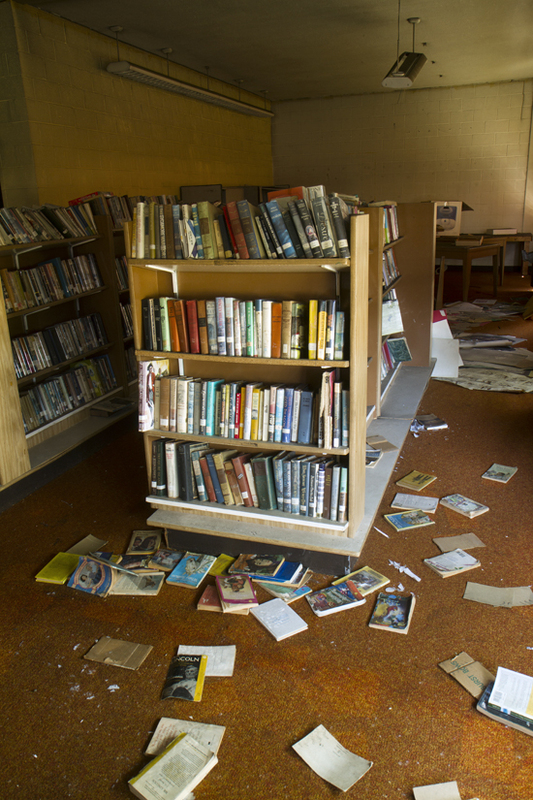 To discourage vandalism and scrapping, the school and libraries will remain anonymous. This is a sin. Books are great things. 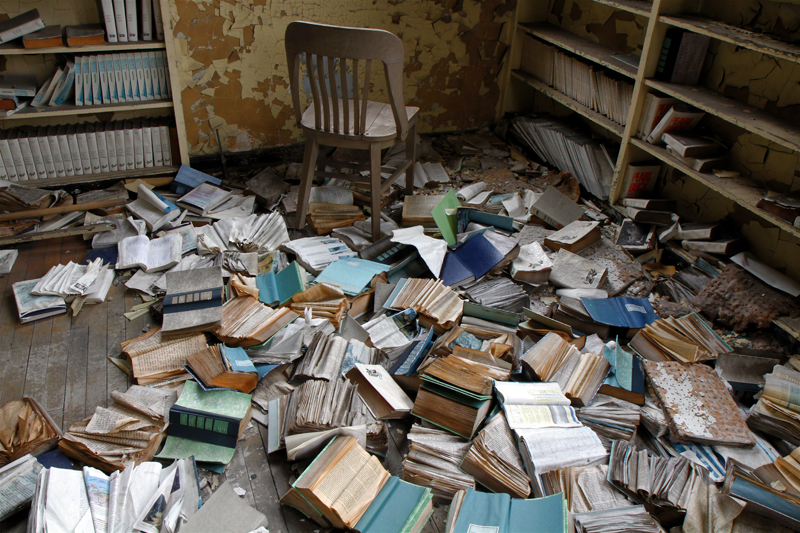 I am looking for book shelves for my new bookstore (Northwest Detroit) and my first choice is to reuse abandoned ones. Could you put me in contact with someone who would know how to get access to these sites. I would work on saving the books as well. This city needs books. I would gladly go and save some of this books. But ,then , I would be treated as criminal. It is better if they are destroyed. Such shame. This makes me hurt as a person who values literacy, and makes me angry to the nines when I think about the people that are wrought onto this world by a lack of said literacy. It is one of the things that bothers me the most when I visit the abandoned buildings. The churches are pretty good at leaving books behind as well. 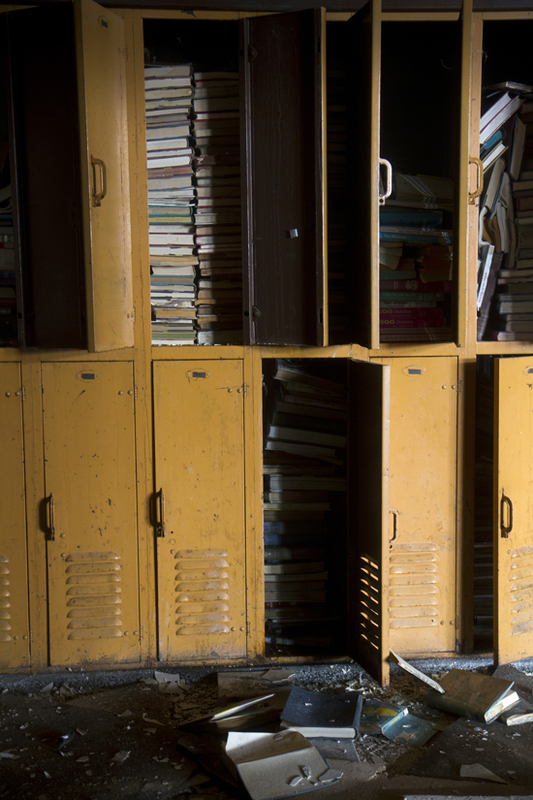 Not only stacks and stacks of bibles and hymnals, but also libraries full of schoolbooks and literature. It’s such a shame. My first thought was “I’ve finally found a reason to go scrapping”. This is what happens when people assume there’s a never-ending money fountain that perpetually refills every year. Why bother saving any of the books when you can just spend more money and buy new ones? After all, if you don’t use up that entire budget, there’s always a chance that you won’t get as much money next year. Just think of all the people who could’ve used these books. Think of all the money that’s been wasted. Think of all the people in charge who either didn’t think of this, or simply didn’t give a damn. It’s criminal. This is a shame. The books should have been sold or donated, along with the shelving, tables, chairs, and desks. People could have made use of all of this stuff. Now, it’s all probably loaded with mold. Steve, any chance you can get Operation Kid Equip involved? They distribute free books to teachers, etc. 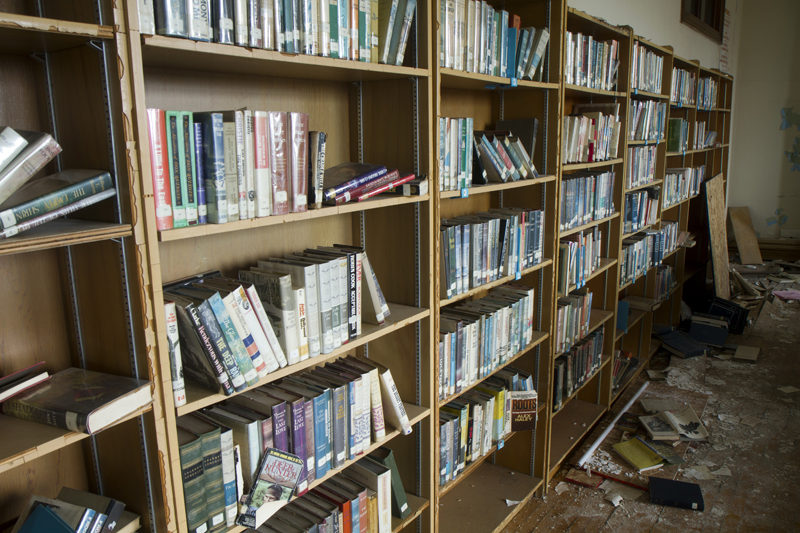 I’ll bet if we could get some volunteers to retrieve the usable books something good could happen. At the least, they could be sold at the Friends of DPL sale to support our library system. That’s a great idea, Dean. Thanks for the suggestion.